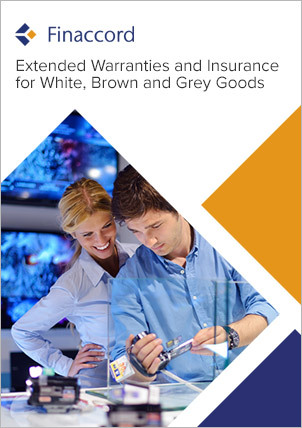 Warranty Metrics: Consumer Approaches to Extended Warranties for White, Brown and Grey Goods in France offers unique, detailed insights into the behaviour of French consumers regarding extended warranties for white, brown and grey goods. Based on a primary survey of over 1,000 consumers in France carried out in the second and third quarters of 2017, the research provides valuable data concerning the extent to which they take out extended warranties with desktop computers (plus printers / scanners), dishwashers, fridges / freezers, games consoles, hi-fi / audio systems and digital radios, set-top boxes and Blu-ray / DVD players, TVs and washing machines, with data shown separately for each of these eight types of product as well as for each of the three broader categories of white, brown and grey goods. Extended warranty take-up rates for these categories are also analysed by gender, age and annual household income of respondent as well as by the price band of the underlying product and the interface used to acquire it, differentiating between in-store and remote (mainly online) purchases. They are additionally shown for major retail chains covered by the research, which in France were Amazon, Auchan, Boulanger, But, Carrefour / Rue du Commerce, Cdiscount, Conforama, Darty / Mister Good Deal, Electrodépôt, Fnac, GrosBill, Leroy Merlin, Magasin-u, Pixmania, Price Minister, Ubaldi and Vente du Diable.com, as well as for respondents buying through other national chains, other online-only retailers and local (independent) shops. assess the prospects for retrospective marketing and re-solicitation programs: how many French consumers take out extended warranties after they have bought the underlying electronic product and how long do they wait?